Make sure you can be reached at all times! No more missed calls or text/SMS messages. Get alerts for incoming land, cell, and video relay calls. Bright flash patterns and adjustable ring-tone loudness. USB charging port for your smart phone. Not compatible with the CA-360 and CA-380 systems. Unique, bright flashing patterns, and adjustable ring tones distinguish calls from landlines, cell phone, Skype calls. Bright indicator lights alert you to a missed call, text, or SMS message. USB Port conveniently serves as a dedicated charging station for your cell phone. Includes 3.5mm jack to connect the optional bed shaker. Battery backup in case of power outage (batteries not included). A1: Confirm that your mobile phone outputs an audible signal on the headset jack. A2: Select the cell phone mode that provides the strongest and longest vibration time. A3: Use the short cable to directly connect your mobile phone to the RF-200. Q: RF-200 flashes randomly when no calls have been received. A2: Your RF-200 may be placed next to a strong RF system. Try moving the RF-200 further away. A3: Press the "RESET" button and replace the cellphone on the platform. A4: Make sure RF-200 is not placed on a vibrating surface, for instance, a countertop with kitchen tools. Move the RF-200 to a stable surface. Q: Will the RF-200 detect WEA alerts? A: If your cell phone provider provides Wireless Emergency Alerts, the RF-200 will detect them. 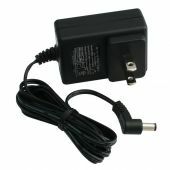 Q: Must I have the RF-200 plugged into the AC Adapter, to use the USB Charging Port to charge my cell phone? A: Yes, you must use the AC Adapter.